PhotoFlashDrive Custom USB Drives – SALE! 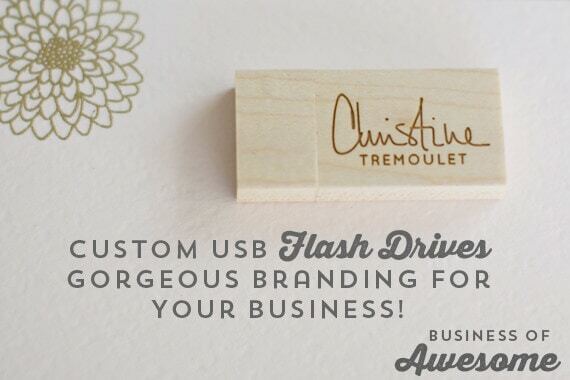 I’ve shared before my thoughts on switching to custom USB Drives and examples of mine along with my packaging, but it is time to talk about them again because there are big things happening at PhotoFlashDrive! Did you notice the name change? Yes, many of us have referred to them as Pexagon for years, and used a special coupon code that they made available to photographers to get 25% off of their USB drives and packaging products for our clients. As PexagonTech grows and becomes more focused on promotional products for companies, that site is discontinuing some of the products that we love – but don’t worry, the products are not going away! From now on, use the PhotoFlashDrive site and the 25% off discount for photographers is AUTOMATICALLY calculated! No more need for a special discount code, and all the products that you love – plus many more great ones that they are adding all the time – will be there for you to order! The new site is also structured to help make it easier for you to find the USB drive packaging options that work with the USB drive styles that you are purchasing. That way, for example, if you order wood drives like the ones featured above, you can be sure to get the packaging for the wood drives. I spoke with Brian Campbell, the president of PexagonTech and PhotoFlashDrive, about the site changes at WPPI, and they making ordering what we need so much easier! Same as before, there are no minimums for your order, and no set-up fees for using your logo on your products! This is one of my favorite things about using PhotoFlashDrives, as I do not want to keep a large supply of drives on hand as I purposely keep my supply inventories very low. To celebrate my Birthday Bash, you can use the coupon code BIRTHDAY10 to get an additional 10% off of your purchase! Visit PhotoFlashDrive by October 6, 2014 and place your order. 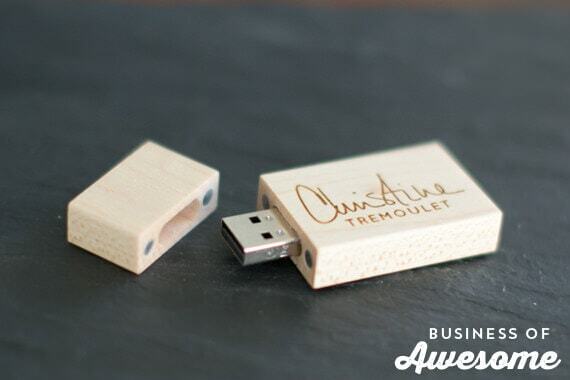 Do you use PhotoFlashDrive to create custom USB drives? I’d love to feature your drives along with your packaging in a future post! Contact me and let me know if you are interested! Disclaimer: Links in this post are affiliate links, and help to cover the overhead costs of running this site. Thank you for your support by using the links here. Business Coach for Professional Photographers, founder of Photographer's Inner Circle, and Best-Selling Author. Blogger since 2000, I named WordPress. My Superpower: Helping entrepreneurs like you use the power of storytelling across blogging & social media to magnetize clients and dominate your market. It is time to stop believing the lies of the Perfection Culture. I live in Houston, Texas when I'm not traveling in my Mini Cooper. @christinebpc thanks for the coupon. Just in time. I need to order more USB drives. @christinebpc … random question. Who does your logo/design work? It’s always wonderful. Love the business of awesome logo. Quick question lady…why USB Drives and not PASS? PASS would have been great for my wedding clients when I did weddings. For my boudoir clients, it is not a good fit at all. Mostly because of the privacy situation — and they really have no need to PASS those photos on to anyone else! Haha! I realize I can use PASS without being a ShowIt user. So that negates #1.
ha…I ask b/c I was toying with going with USBs but then I tried PASS and well, I just might be hooked. Wondering if there was a reason to go USB over PASS for weddings. 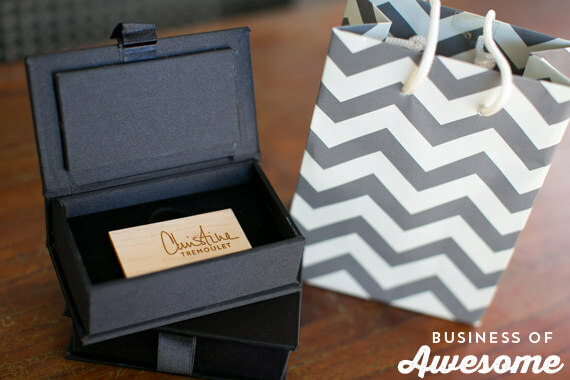 My clients gush & rave when I hand them the pretty little satan box with the USB drive in it. They tell me how it feels like a special little present. For my wedding clients, I have the backs custom engraved (free!) with their name & the wedding date. If I still did weddings? I’d do PASS + a USB. I’d want them to have something tangible, plus knowing that the PASS is there as well to share with friends, etc. Again, if I’m charging them thousands, I want them to have something to hold. I like the “it is backed up” aspect of PASS though too. cool, thanks lady! Hope all is well with you! Nearly over pneumonia! YAY! 😀 Hope all is well with you too! Bill Gellerman liked this on Facebook. Jennifer Chaney liked this on Facebook. Suzanne, that would be fabulous! I’ll send you an email in the next day or two and we can talk! I’d love to put together a series of ideas on packaging. Thank you so much! 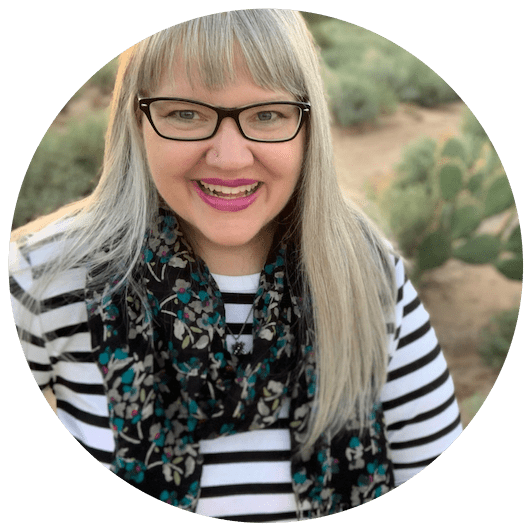 I'm a business coach for professional photographers, a best-selling author, a speaker, a blogger since 2000, and a professional photographer since 2007. I am the founder of Photographer's Inner Circle. I live in Houston, Texas with my husband Mike, our son, Jason, and two cats - Maggie & Graham. That is when I'm not on a road trip in my Mini Cooper. I believe, more than anything, that you can build a wildly successful, profitable professional photography business with YOU at the core of it. Keeping it simple & having accountability is the key to making your dream a reality. 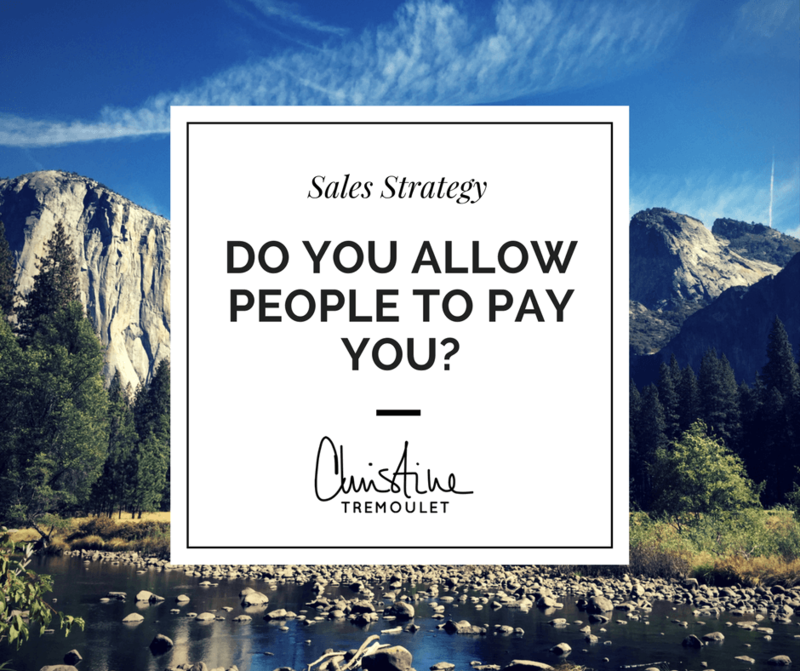 Do You Allow People to Pay You? What Lens Should I Buy for Boudoir Photography? Six Tips to Help You Choose!